Former homeless people from supported living schemes in Flintshire are among those taking part a community arts initiative in the county featuring Flint Castle and the surrounding areas. The project is funded with Flintshire County Council, CADW, and Welsh Government support allowing local artists to engage with the wide community. 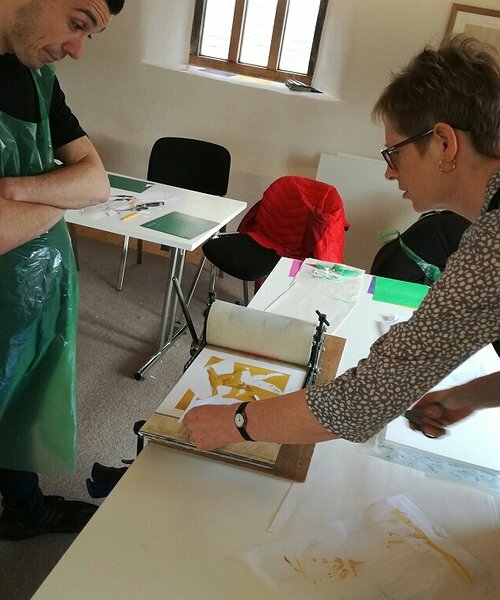 The supported living residents worked with local print-maker Ruth Thomas, specifically focussing on the bird, marine and wildlife of the Dee Estuary and foreshore area and the work they produced will form part of an exhibition to go on display at Flint Library. Local project facilitator, Lorna Jenner said, "The residents created some superb prints which will help raise awareness of natural habitat of the area." “We’d like to thank everyone who supported this excellent creative initiative. The residents were absolutely immersed in the workshop. “Well done to them, and to print-maker Ruth Thomas on all their hard work,” said Louise who thanked the funding partners, and the ODEL Involve Team for their support. "Former homeless link up with theatre team"